(Left to right): Head Competence Center Research and Development Management Department, Fraunhofer IAO, Mehmet Mustafa Kurumluoglu; Vice President of SIRIM Industrial Research, Ir. Dr. Mohamad Jamil Sulaiman; President and Group Chief Executive of SIRIM, Prof Ir Dr Ahmad Fadzil Mohamad Hani; Chief Operating Officer of SIRIM Tech Venture Sdn Bhd, Ajmain Kasim; and Consultant Competence Center Research and Development Management Department, Fraunhofer IAO, Marco Kayser. 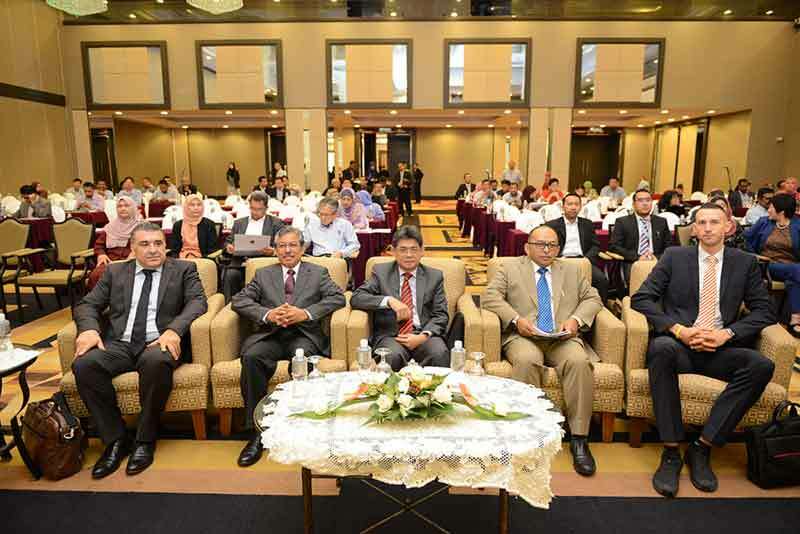 SIRIM Berhad1, a wholly-owned company of the Malaysian Government under the Ministry of Science, Technology and Innovations (MOSTI), launched a business tool on May 18, called Technology and Market Radar (TMR), to help local SMEs make strategic decisions on technology investment based on the identification of relevant technology and market trends. The tool will enable SMEs, Ministries and Government Agencies to retrieve relevant and strategic information on technology and business trends. The information is complemented with an analysis of opportunities and challenges. Inadequate data on market and technology trends was identified as one of the weaknesses hindering the business growth of SMEs in Technology Audits conducted on over 300 SMEs in 2015 and 2016 by SIRIM under the SIRIM Fraunhofer Programme (a collaboration initiated in December 2014,with Fraunhofer Institute, a German research organisation and the largest applied-oriented research organisation in Europe). TMR was jointly developed by SIRIM and Fraunhofer IAO to address this weakness. The expected benefits of TMR for Malaysian SMEs include awareness of upcoming technologies and potential substitutes and alternatives for existing ones. It will support SMEs in decision-making and timing for investment strategies regarding new technologies, support for business expansion (new products, additional local and export markets) and provide information market and technologies for SMEs to create product and chart out technology roadmaps. It will also provide a platform to enhance knowledge exchange between technology experts from research and industry. The initial implementation stage of TMR will focus on two research topics, Industry 4.0 and Renewable Energy. The press release explains that both these technology fields are categorised as high interest fields among SMEs to boost productivity growth. More search topics will be developed and enhanced in the future. There will be one radar for on-technical trends, based on the Social, Economic, Environment and Politics methodology. SMEs are being encouraged to access the TMR radar to explore the information provided and provide their comments and feedback for future improvement of TMR. 1SIRIM Berhad is a research and technology organisation, with the mandate of providing timely and focused research and developing new technologies and driving improvements in the manufacturing, technology and services for the Malaysian industrial sector.